A wedding is just the beginning of a new journey on the un-ending highway of the life. 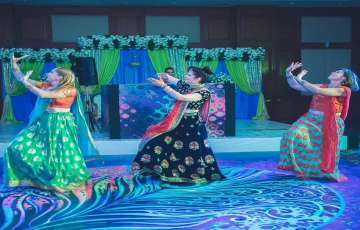 Couples put every ounce of energy to make their priceless wedding moments memorable and leave a lasting impression on the guests. 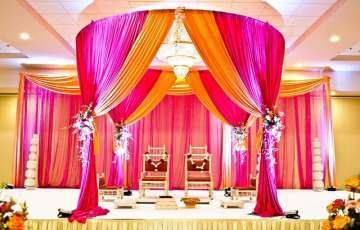 One of the ways to make your wedding more special is by planning a grand exit. 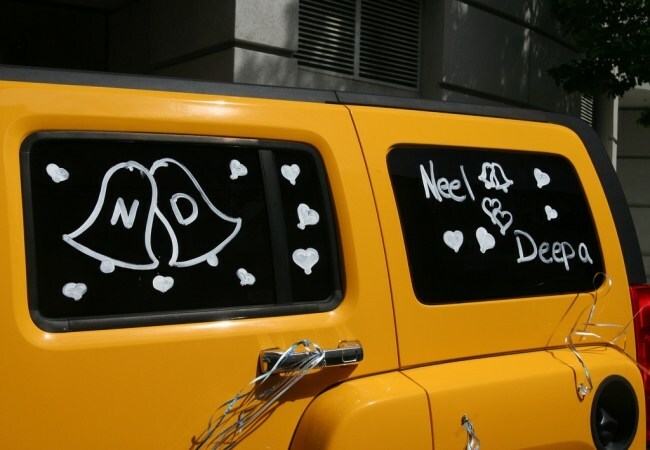 And what’s better than decorating the wedding car to say bid adieu to your family members and guests? 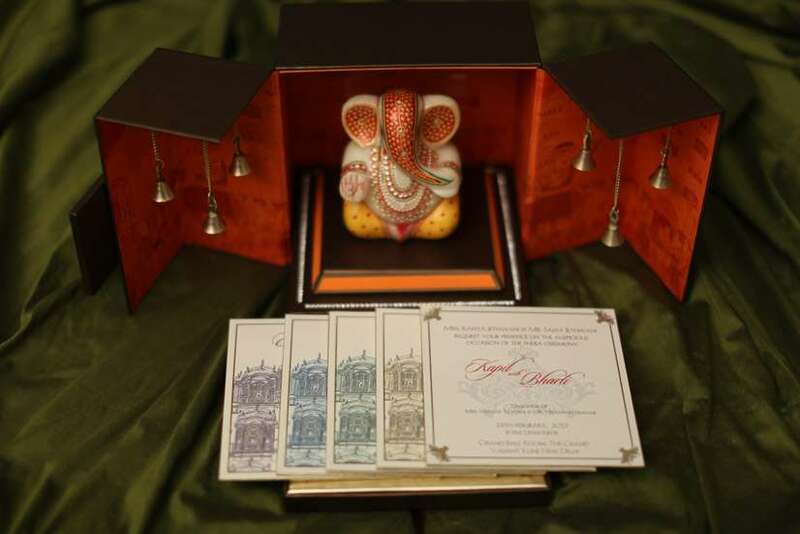 According to the traditions, it is the responsibility of the groom’s side to decorate the wedding car. 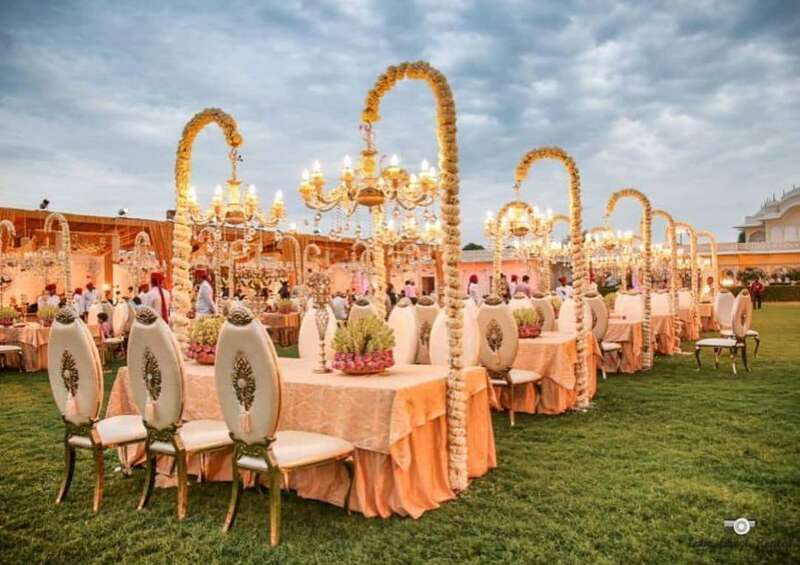 But to make the things more classy and riveting, you can hire a wedding planner who will grind his imagination to elicit some captivating wedding car decoration ideas and make your send-off dramatic and perfect. 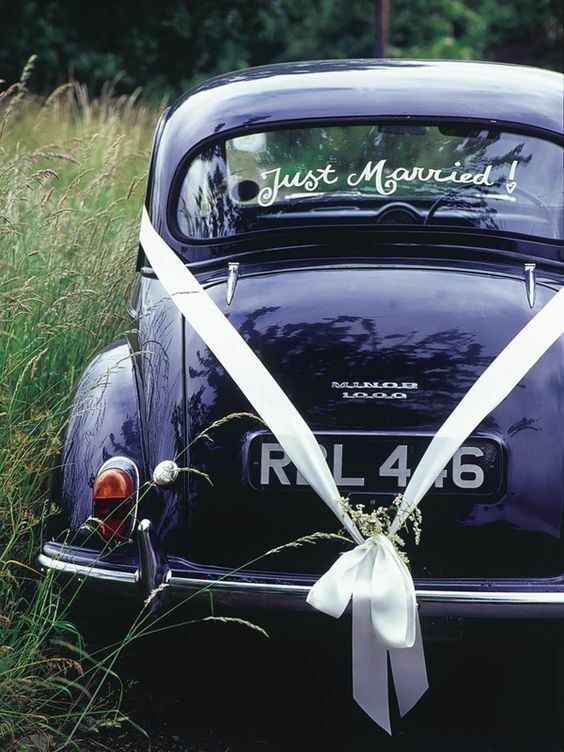 Brace yourself to get Oomph wedding car decorations ideas. 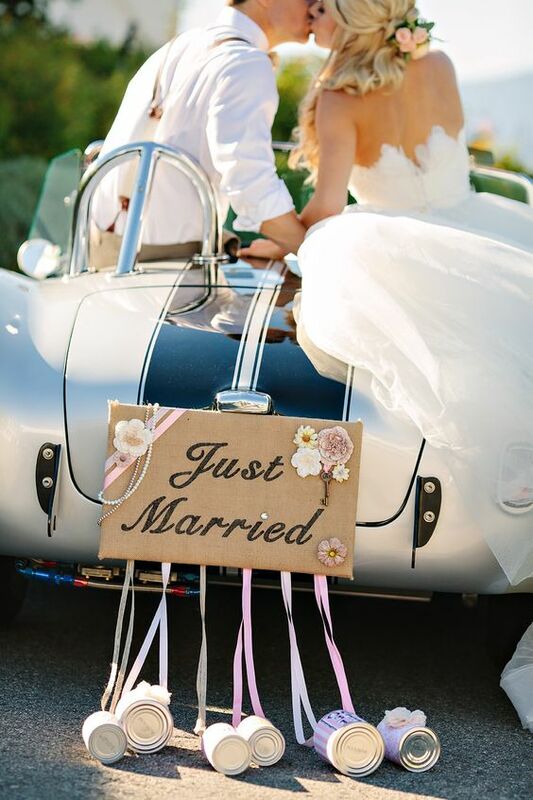 Let the world know that you have got married by attaching the Pennant chain at the backside of the car. Unquestionably, it is a timeless idea and worth giving a shot. To give a perfect touch to the wedding car, choose the color of the pennant chain similar to the wedding car. 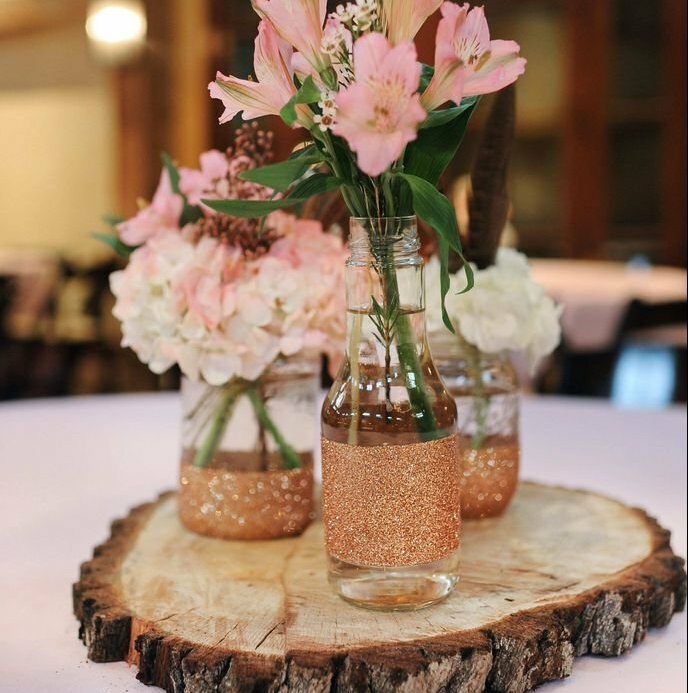 Just add flowers to anything and they will beautify the object manifold times. 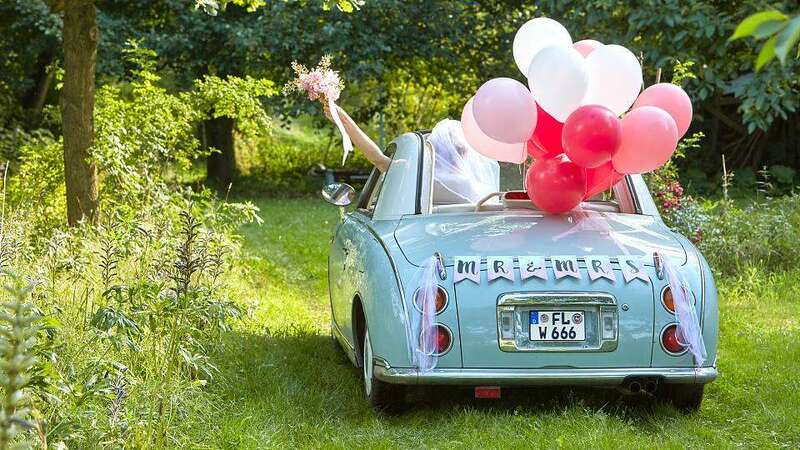 Adding flowers is an excellent way to spruce up your wedding car appearance. 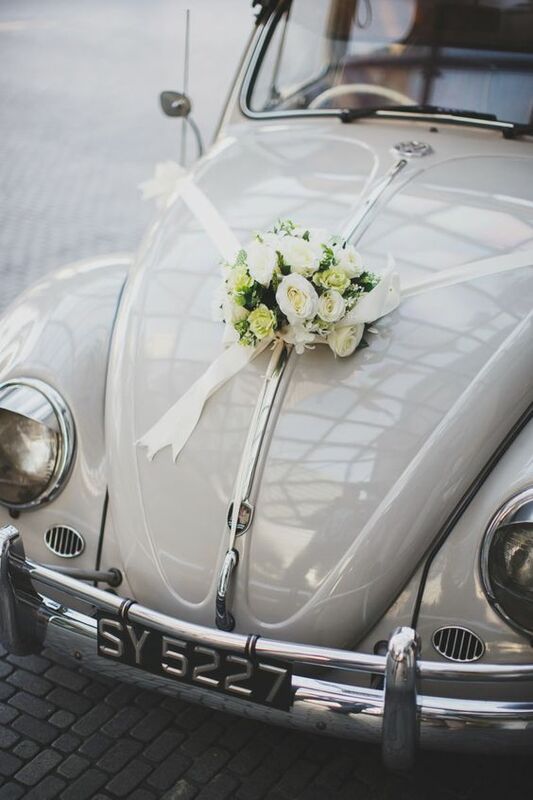 If you want the wedding car decoration with flowers to last long, choose synthetic flowers over the natural ones. 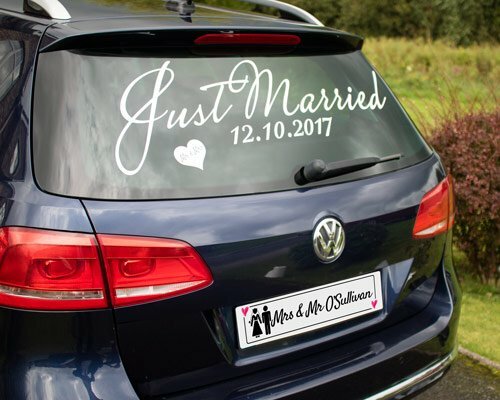 It is one of those rare wedding car decoration ideas that never go out of the trend. There is no need to go overboard. Just add balloons of different sizes and colors and you are all set for an adorable bid adieu. If you are one of those beings who stick too much to the traditions, we’ve got something for you. Using tin cans for car decoration is one gem of an idea. When the car vrooms, the sound of dragging tin cans will grab the attention of everyone. Attach the cans with the durable and colorful ropes and make sure to empty the cans before tying them. The vibrant ribbons never fail to amaze us. Be it birthday parties or the wedding car decoration, ribbons can be utilized anywhere to bring the festive vibes. Use colorful ribbons for a more subtle look you covet for. Here’s a DIY idea for you. 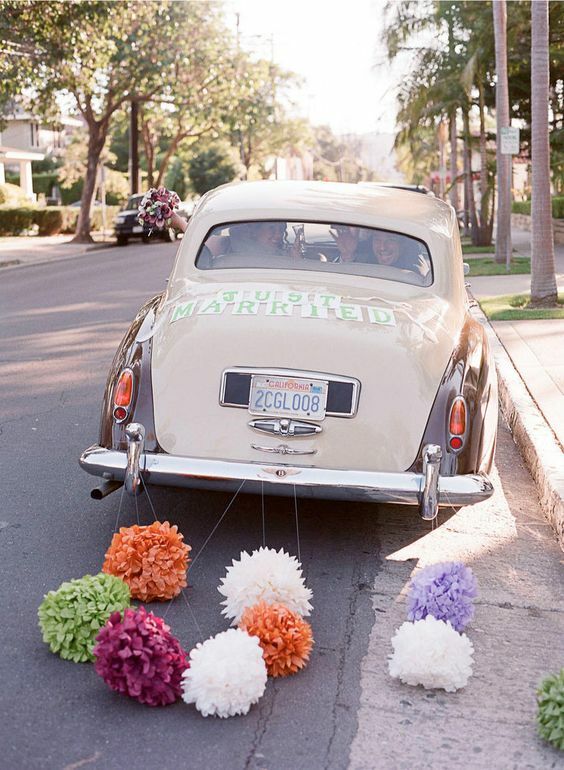 Bring some fluffy and colorful pom poms and deck out your wedding car like no one else. 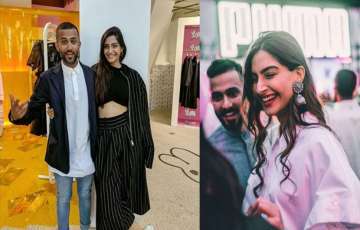 Still craving for more? 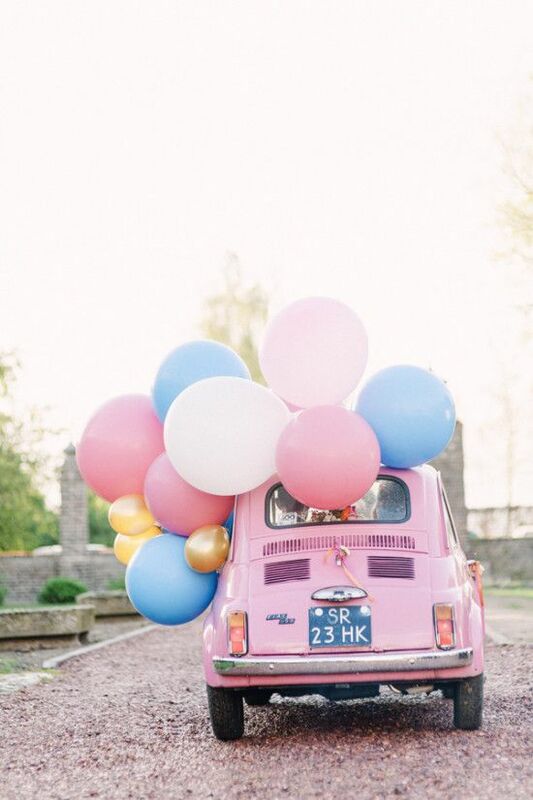 You can also blend balloons and ribbons to have a fun ride. Scribbling Just married with a marker on the backside of mirror shied is one of the regaling ways to tell the world that you have joined hand with forces(LOL). This idea is completely craziness meet love. Engraving yours and beloved name on the license plate is something that the only handful of couples dare to do. 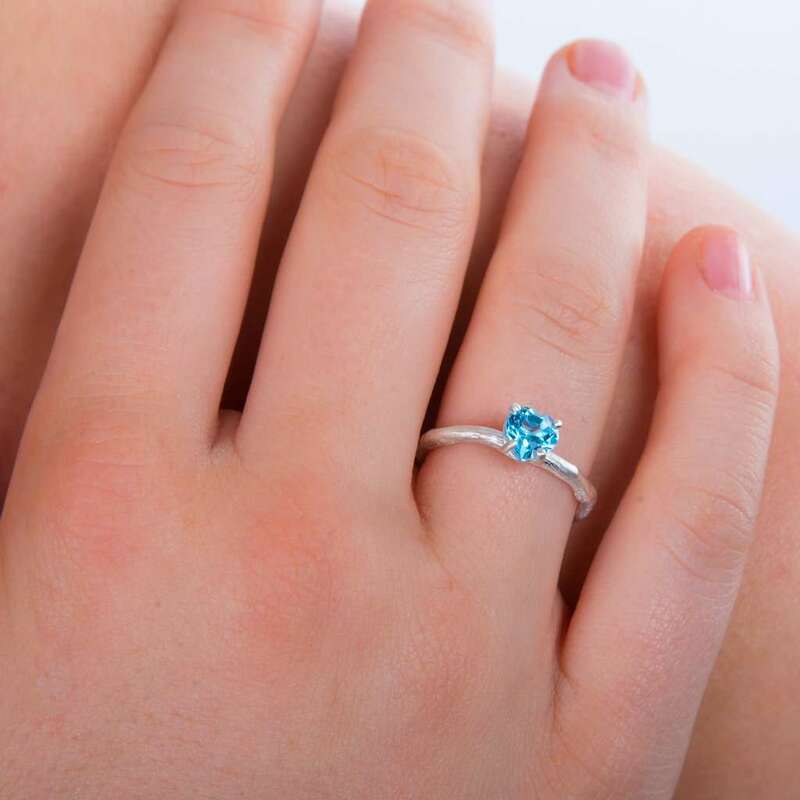 It gives your wedding a classic and more personal touch. 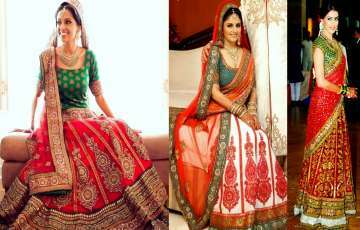 What a stunning way to announce your wedding! 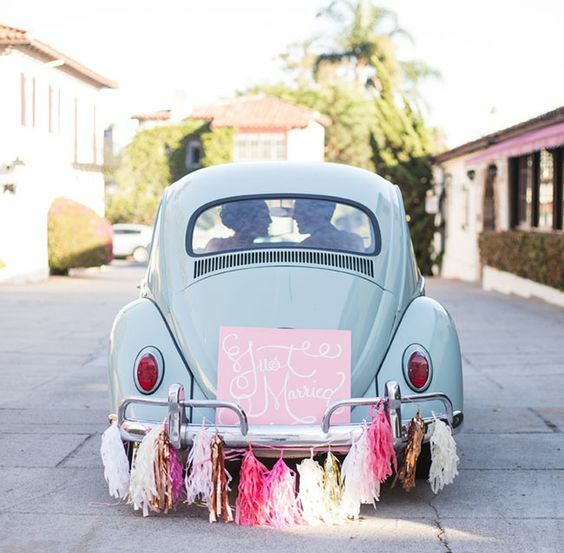 Another amazing way to decorate your plain and simple wedding car is to use vivacious tassels. 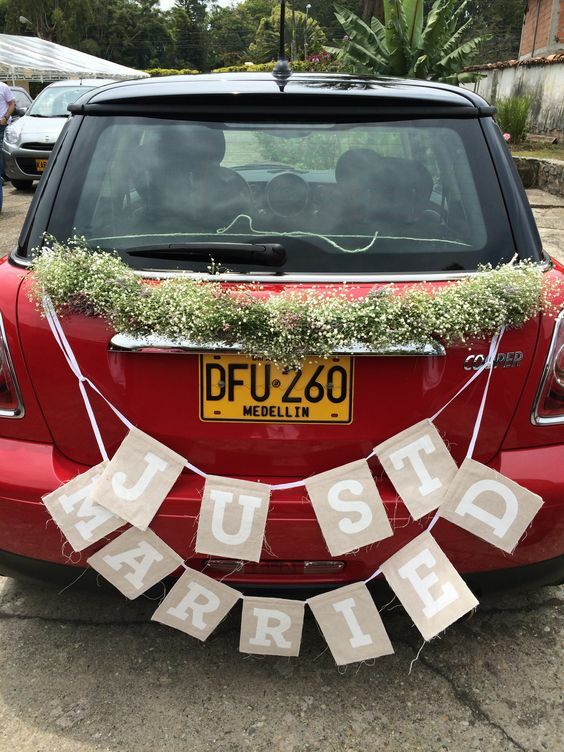 The moment your car rolls out, they will fly high in the air and spread the message that finally you got hitched. This car decoration idea never fades away. 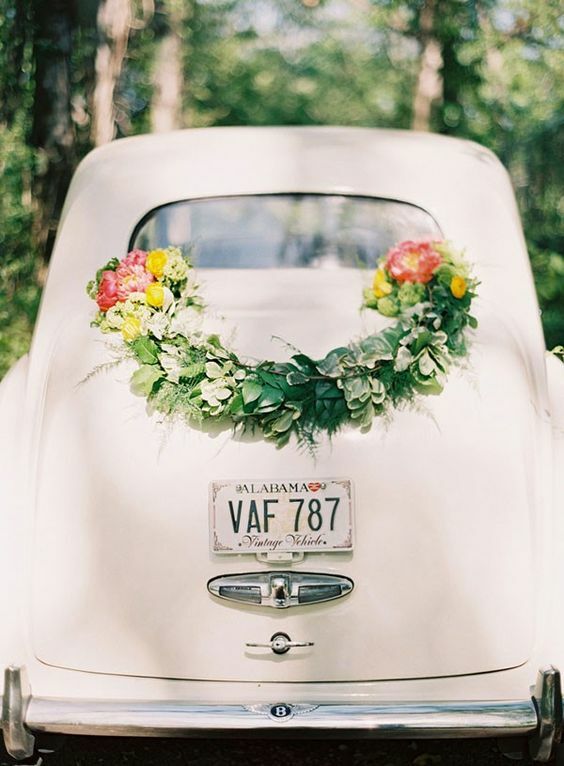 Drape a fresh garland at front or back side of the car and add flowers at both sides. The result will be a beautifully decorated wedding car worth snapping with numerous times. I like to jot down whatever pops up in my mind. When I am not writing, I binge watch movies, web-series, and daydream about the kinds of stuff that you may find either whimsical or preposterous.